The 'New Day' team of Amelyn Veloso, Karen Jimeno, Claudine Trillo, and Andrei Felix will kick off the day’s live programming at 6am, preparing viewers for the crucial day ahead. 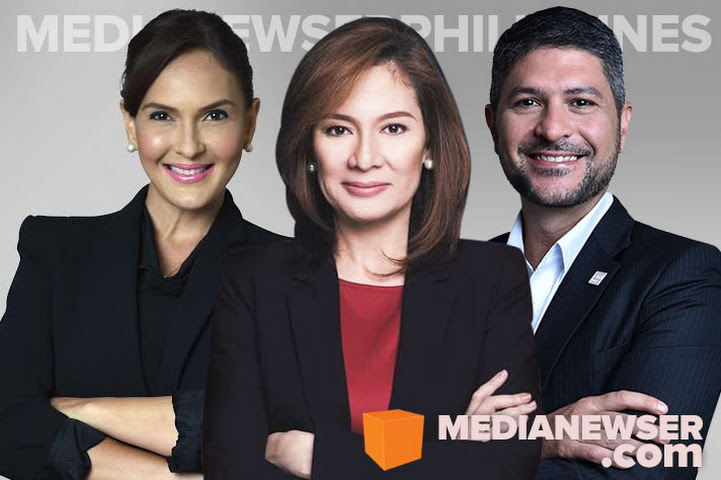 Chief Correspondent Pia Hontiveros will lead the network’s coverage at the House of Representatives along with Senior Correspondents Ina Andolong and David Santos. Senior Anchor and Correspondent Pinky Webb, Claire Celdran, and Mitzi Borromeo will provide news and commentary in the hours before and after the President’s speech at 4pm. To lead the discussion on the country’s transportation and traffic issues, CNN Philippines also welcomes the newest member of the family, multi-media motoring journalist James Deakin. Live from Batasang Pambansa and from its main headquarters, CNN Philippines continues its mission to deliver comprehensive of yet another historic event, President Rodrigo Duterte’s first State of the Nation Address on Monday, July 25th. CNN Philippines contributors Nicole Curato, Dindo Manhit and Gilbert Remulla will be among the guests who will provide expert analysis and weigh in on President Duterte’s eagerly anticipated speech on how the country will take shape under his governance. President Rodrigo Duterte vowed to give the country law and order and it is a promise he holds on to with an iron fist. There are talks in Congress to revive the death penalty. There are bounties on the heads of drug lords and their dealers. CNN Philippines looks at the scourge of drugs in the country, and the intense war the government intends to wage against it. But as the bodies pile up, it must also be asked — in the war on drugs, who will be caught in the crossfire? On July 12, the Arbitral Tribunal ruled in favor of the Philippines in a landmark case dismissing China’s claims in the South China Sea dispute. Correspondent JC Gotinga talked to those who have been most affected since China took control of Scarborough Shoal in 2012 to understand the impact of the dispute on the local fishermen in Zambales. Beyond the politics of Scarborough Shoal, “Peskador” is a story of survival, of family, and of the future of these communities. Amelyn Veloso talks to prominent journalists on President Duterte’s love-hate relationship with the media. How much has changed since the President took office? And how will the media play a role in the changing landscape that President Duterte has promised? Anthony Pangilinan brings together one of the country's top business leaders in the special edition of the The Boardroom to look at the leadership and economic agenda of President Duterte. Guest panelists include Noel Leyco, Professor at AIM, Berns Uy, Head of Finance and Community Development at Habi Footwear, Cezar “Bong” Consing, CEO and President of the Bank of The Philippine Islands, and Manny Ayala, Managing Director of Endeavor Philippines. Unlike in past years, the dress code in Monday’s State of the Union address is going to be simple “business attire.” But Filipinos are still expected to have their eyes on the red carpet. Hosted by Mitzi Borromeo, "Who, What, & Wear" captures the spirit of an event such as the SONA, from past outfits, highlights of the previous years, to some of the fashion forward designers furthering our national textiles for such a momentous occasion. Watch CNN Philippines’ comprehensive coverage of SONA 2016 on Free TV Channel 9 and on the livestream pagewww.cnnphilippines.com/video.